1 : Part your hair to the preferred side and twist the front fringe area away from your face. 2 : To secure the twisted hair, criss cross two bobby pins over it. 3 : Take some of your hair that is left out and let it fall over the bobby pins so you cannot see them. 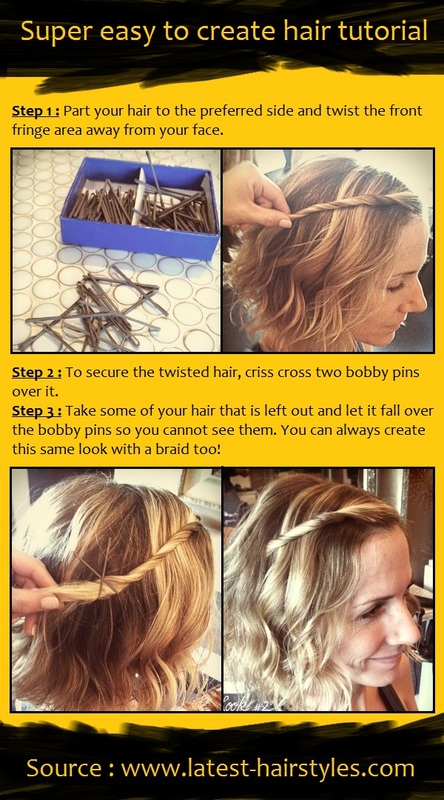 You can always create this same look with a braid too!